Floral wall behind the sofa Digital Art desktop wallpaper, Heart wallpaper, Lamp wallpaper, Love wallpaper, Vase wallpaper, Sofa wallpaper, Drape wallpaper, Digital Art wallpaper - Digital Art no. 51453. 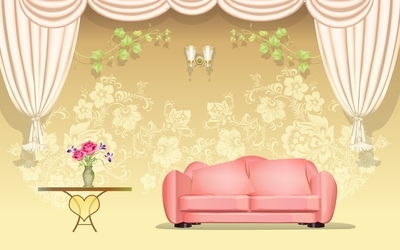 Download this Floral wall behind the sofa Heart Lamp Love Vase Sofa Drape desktop wallpaper in multiple resolutions for free.